Not bad for a days work in the woods. 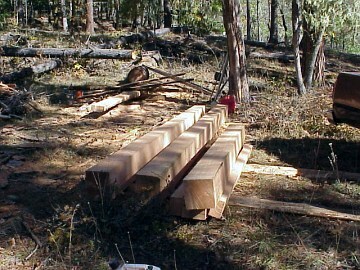 The slabs can be bucked for firewood or placed face down for inconspicuous habitat for lizards, snakes and insects. More hands on the job get much more done but I usually work alone.